Showing results for tags 'service connection'. I have been following the group for a while. My claim is currently sitting in “Pending Decision Approval”. My question is in regards to my C&P exam. In the notes section of the C&P under GW, the doctor states, “...is less likely than not”. However, directly below that under medical opinion, he states “...is at least as likely as not occurred in service”. Why would he have this distinction? All of my claims were for Gulf War syndrome. The C&P looks favorable for service connection, but not Gulf war. Am I missing something? Are there any thoughts on why he separated these items? Hello everyone. What I want to know is if I am getting an adequate service connection percentage. I am currently getting 30% for Bi-Polar disorder. I was originally at 10% and then applied for an increase in my percentage in 2011 and it was raised to 30%. I keep seeing and hearing about vets getting higher percentages than me and it confuses me. Like my brother in law gets 20% for a bad knee and when in my mind I compare a bad knee to constant mood swings, bouts of depression, never ending anxiety, paranoid thoughts especially in social situations whether it be at work or in social gatherings, the occasional psychotic break, and constantly feeling like I'm weird or crazy, that comes with Bi-Polar Disorder, I think to myself, "Now is being 10% higher then someone with a bad knee necessarily right?" I just have problems with understanding how the compensation works and I am wondering if I am getting screwed. Some history about me is that Bi-Polar runs in my family but I did not have any signs of it before I went to Iraq in 2003 and then I had a psychotic break while in Iraq and the V.A. determined that my Illness was already there through genes and that military service exacerbated my Illness. As you probably know Bi-Polar illness is a lifelong condition and it feels to me that it is steadily getting worse as I get older. I have been able to hold down a janitor job for almost 3 years full time but have had to take several sick days because of the stress of working and being around people all day. I'm actually worried that having a stable job for that long would actually screw me if I applied for another increase to my SD of all things. It's not like a Janitor job is a high stress environment for most people but it is the max that I can handle. So, I will be stuck in this job and pay level possibly for the rest of my life or possibly get fired for calling in sick to much and I could never be able to make a higher income even though my I.Q. is 131 and I am a hard worker. So with that all being said should I apply for an increase again to my SD? Tricky Situation - Eating Disorder - Too Request An Increase Or Not? Here is my situation: I am currently 0% S/C for Anorexia Nervosa. I have a laxative abuse history for over two decades. 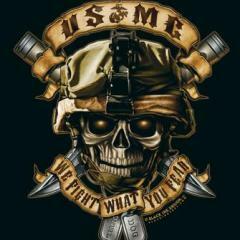 I am currently in out patient therapy weekly through Tri-West paid for by the VA. It is helping to a point....I have my days... In November of last year I fainted due to my ED and was rushed to the VA ER. I damaged my lower face to include my two upper teeth. I reported this incident to my outside therapist, Chief MH Director of my VA team, and my PCP doctor. Both the MH/PCP doctor's provided consults for me to go to VA dental but Chief Dental Doctor denied all request stating I was not S/C for my teeth...Yes I knew that...So....I had to seek outside dental help and went to my dental doctor and specialist - $4,500 later I got my teeth fixed! Both dentists provided DBQ's on my behalf and I submitted them along with all my documentation to include ER visit to the VA for an FDC claim. I sit waiting now.... Last month I get a letter (Redacted letter.pdf) from the RO office stating: Due to your dental trauma and passing out from your service connected anorexia nervosa, if you would like to file a claim for increase for anorexia nervosa, please submit your application". Well I did some digging and the Anorexia Nervosa disability ratings are TOUGH: 9520 Anorexia nervosa 9521 Bulimia nervosa Rating Formula for Eating Disorders: Self-induced weight loss to less than 80 percent of expected minimum weight, with incapacitating episodes of at least six weeks total duration per year, and requiring hospitalization more than twice a year for parenteral nutrition or tube feeding.................................................................. 100 Self-induced weight loss to less than 85 percent of expected minimum weight with incapacitating episodes of six or more weeks total duration per year ............................................................................................... 60 Self-induced weight loss to less than 85 percent of expected minimum weight with incapacitating episodes of more than two but less than six weeks total duration per year ....................................................................... 30 Binge eating followed by self-induced vomiting or other measures to prevent weight gain, or resistance to weight gain even when below expected minimum weight, with diagnosis of an eating disorder and incapacitating episodes of up to two weeks total duration per year ................. 10 Binge eating followed by self-induced vomiting or other measures to prevent weight gain, or resistance to weight gain even when below expected minimum weight, with diagnosis of an eating disorder but without incapacitating episodes..................................................................... 0 Note: An incapacitating episode is a period during which bed rest and treatment by a physician are required. (Authority: 38 U.S.C. 1155) I spoke to my rep at the RO rating office and she indicated that just b/c the rating guidelines state certain "wording" doesn't mean I shouldn't get an increase. I think I should be at least 10% but I DO NOT have "incapacitating episodes" of two weeks...Look at the above NOTE for incapacitating episodes. She advised me to consider discussing with both my therapist and my chief MH doctor about writing a letter attesting to my therapy as "incapacitating episodes". Meaning the therapy I am in weekly should be considered... I am really not sure what to do here??? QUESTIONS: 1) Should I attempt to file an FDC for an increase on Anorexia Nervosa? 2) If so, should I wait until the FDC that is pending for S/C dental (secondary to Anorexia Nervosa) be completed? 3) Is there such a way to get this accomplished? Thank You! ptsd Choice Of Dro Or Trad. Appeal, For "inferred Tdiu" Case, + Wrong Appeal Reason Listed! ?.